The Think tank for Action on Social Change released a new international report that highlights the health inequalities in our health system, compared to that of other EU countries. The report shows that 45.4% of the population now have private health insurance. The group is recommending the implementation of a universal health care system. Still Waiting Health Campaign Chairperson Cyril Brennan said that “The report reaffirms that the current government and successive governments has failed to implement reform to address the health inequalities we now see in our health service”. The Campaign outlines that Health reform has been promised as far back as 2001 when then Health Minister Michael Martin implemented a new strategy for health care. After a bed capacity review in 2000, there was a recommendation for an additional 3,000 beds. But during the years of the Celtic Tiger, the report wasn’t put into practice. Again in 2008, after immense pressure from the public who where protesting to save services, a new document was created to address the health inequalities. The document outlined the need for 1,500 extra beds and warned that if health reforms didn’t take place, we would need an additional 8000 beds in our hospitals by 2020. 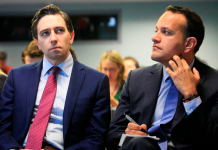 Fast forward to today and the health service is in a continued crisis, with new records being recorded of people waiting on trolleys and waiting lists of over 700,000. The figures outlined in the 2008 document are relevant today. Capacity is the solution to the crisis and how we deliver that capacity needs to be addressed. 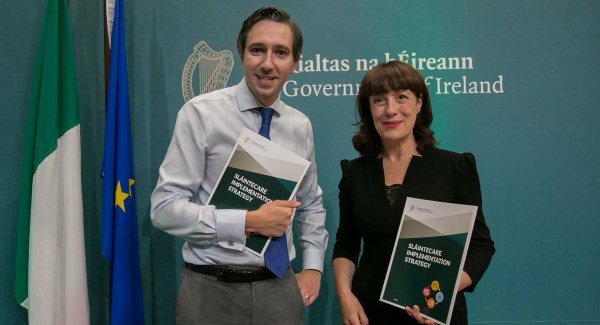 The 2017 Slaintecare report outlines a new model of health care that would modernise a dated system that is continuously treating crisis care as opposed to treating patients at an early stage. Fees and charges are preventing people from seeking necessary healthcare, leaving detection of problems to a late stage. The 2018 bed capacity review outlines the need for 2,500 additional beds, but it also warns that if Slaintecare is not implemented we would need between 7,000-9,000 beds by 2030, pushing back the 2008 recommendations 10 years. Cyril Brennan explains that “again, like the 2001 document the government are choosing to cheery pick elements of the Slaintecare document without implementing the funding model outlined in Slaintecare. This sets the policy on a collision course for failure”. 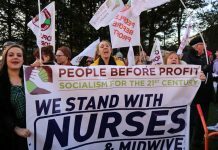 Previous articleSupport The Nurses: Nurses Are Fighting For A Decent Public Health Service For All.